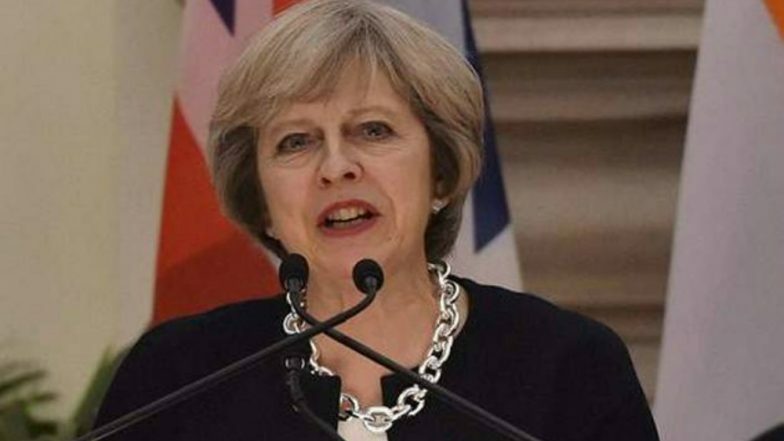 London, April 10: Ahead of the 100th anniversary of the Jallianwala Bagh massacre, UK Prime Minister Theresa May on Wednesday expressed regret over the worst bloodbath committed by the British Army during the colonial period, terming it as a "shameful scar" on British Indian history. "The tragedy of Jallianwala Bagh of 1919 is a shameful scar on British Indian history. As Her Majesty the Queen (Elizabeth II) said before visiting Jallianwala Bagh in 1997, it is a distressing example of our past history with India," said the British leader while replying to questions in the House of Commons. "The United Kingdom deeply regrets what happened and the suffering caused in Jallianwala Bagh tragedy." Former British Prime Minister David Cameron had described the tragedy as "a deeply shameful event in British history" during a visit to India in 2013. On April 13, 1919, British forces led by Brigadier General Reginald Dyer opened fire in Jallianwala Bagh on thousands of unarmed and peaceful protesters, including women and children, killing hundreds of them. Jallianwala Bagh Massacre Centenary Commemoration: Punjab Government to Build Memorial in Amritsar With Soil From Each Village. The Jallianwala Bagh houses the martyrs' memorial which was established in 1951 to commemorate the massacre. It is managed by the Jallianwala Bagh National Memorial Trust. In February this year, the Punjab Assembly unanimously passed a resolution to mount pressure on the Centre to seek a formal apology from the British government "for one of the worst ever bloodbaths in the world". The Assembly resolution stated that "an apology for the massacre would be a befitting tribute to the martyrs of Jallianwala Bagh during its centenary year". "It was a dastardly act perpetrated upon the innocent people who had converged at the Jallianwala Bagh on the fateful day of Baisakhi on April 13, 1919, to protest against Rowlatt Act of the Imperial rulers," the resolution said.